RS1-TRS makes a stereo 1/4" G-Line. Plugs into any 3wire or 5wire BaseSnake Channel (will not plug into the 7wire channel on a Custom PedalSnake). 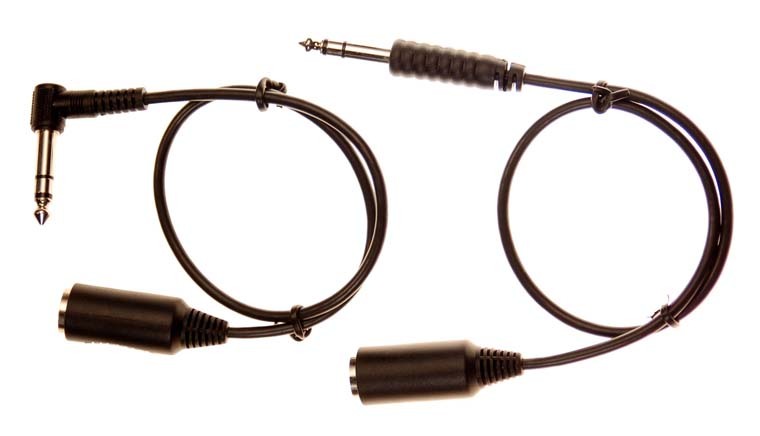 For mono audio or amp footswitches having a mono TS 1/4" plug, use RS1 Single G-Line. For send-returns, or "wireless out and back", RS2 Dual G-Line makes two 1/4" G-Lines from a single BaseSnake channel.